Got a new phone? Phone Clone's got you covered. 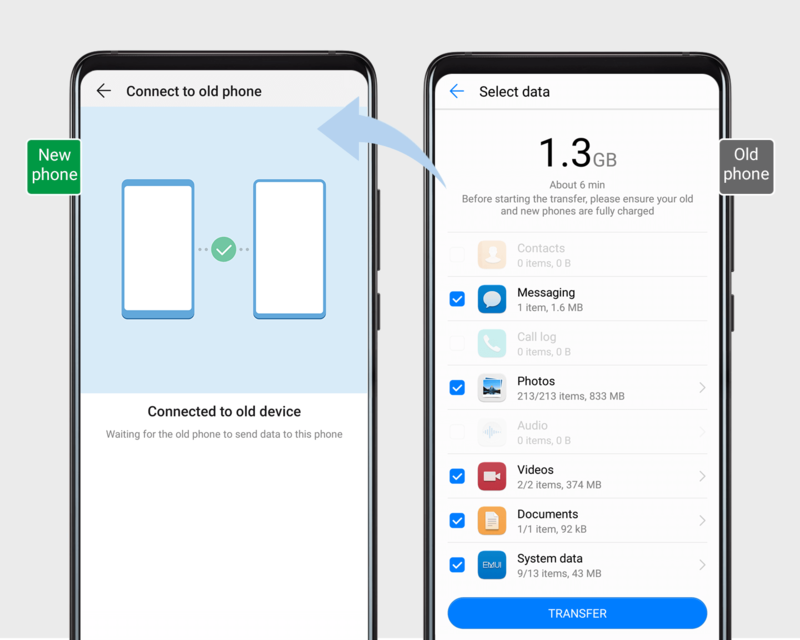 In a matter of minutes (up to 1 GB per minute, in fact), you can transfer all your contacts, messages, apps, files, and more. Open Settings, go to System > Phone Clone, and follow the onscreen instructions.